Six comedians improvise live speeches on an array of topics on the 'Senate Floor' to sway the audience's vote in their favor! The art of persuasion gets progressively more difficult as performers face eliminations and challenges (ranging from the classic 'rub your head and pat your belly' to speaking only in a sing-song-like rhyme) until the final two comedians remain, who will then share actual, prepared speeches on topics they care about with a call-to-action for those moved to get involved. 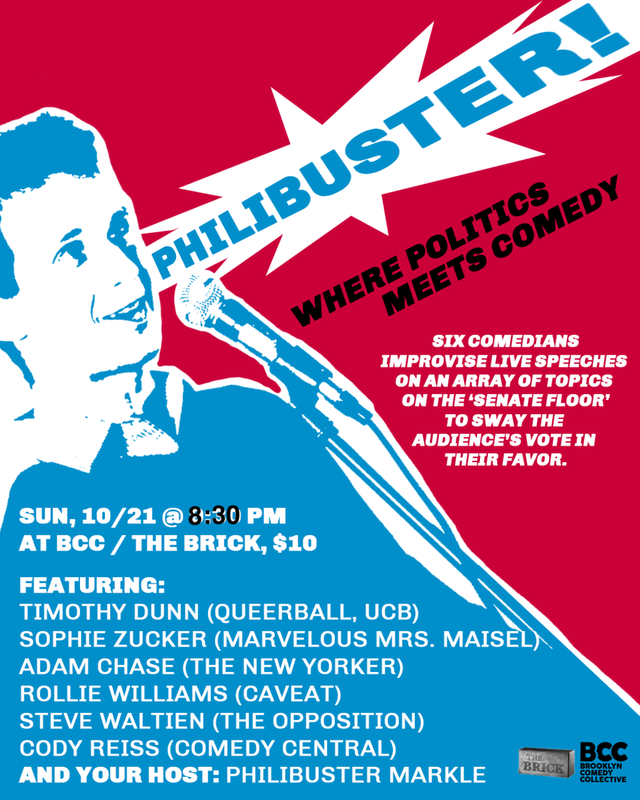 Hosted by: Philip Markle (Joe’s Pub).